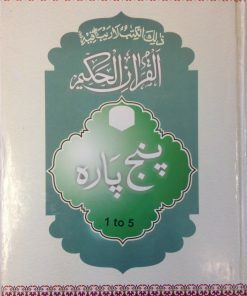 Display Format : Arabic and English Text (Side by Side). 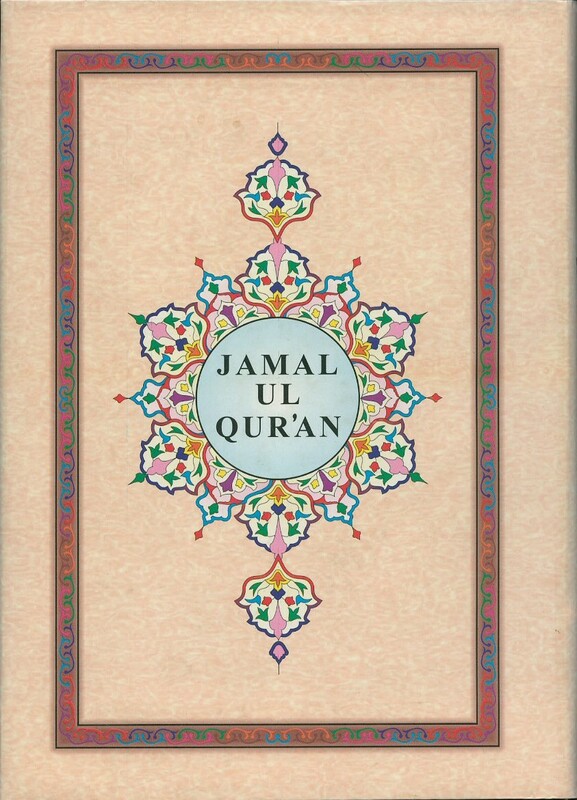 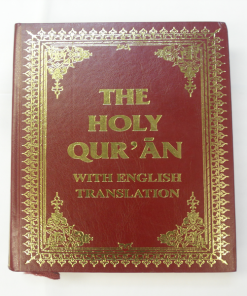 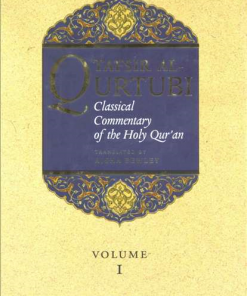 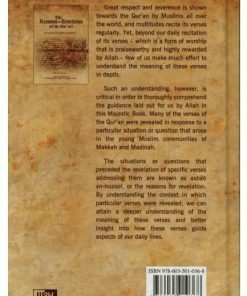 This is the complete translation of the Qur’an by Zia-ul-Ummah Justice Pir Muhammad Karam Shah al-Azhari, May Allah be pleased with him. 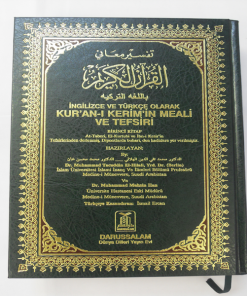 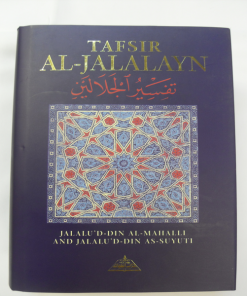 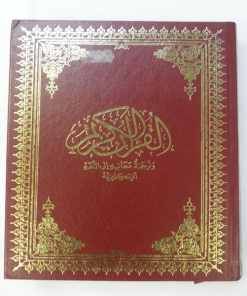 The Arabic lettering and English text are also very clear and distinct. 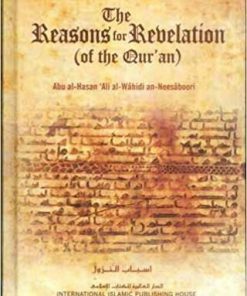 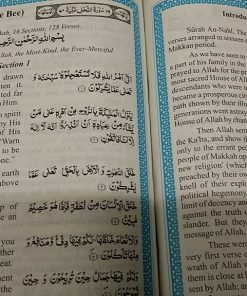 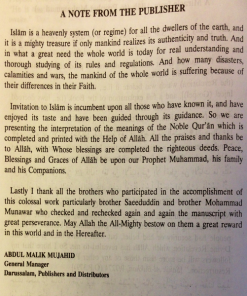 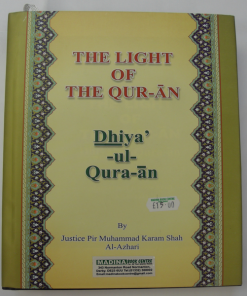 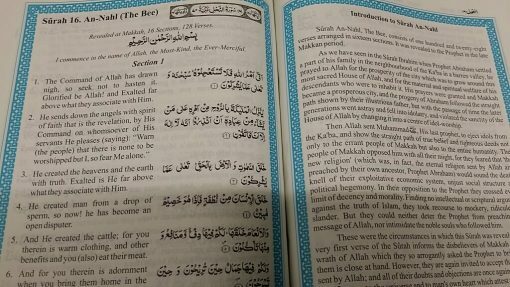 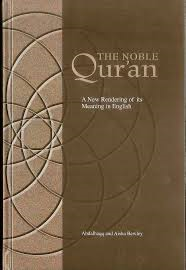 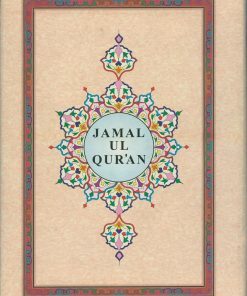 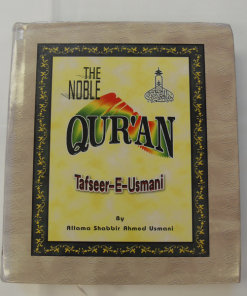 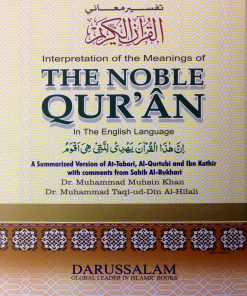 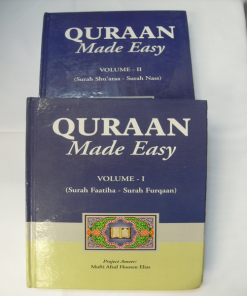 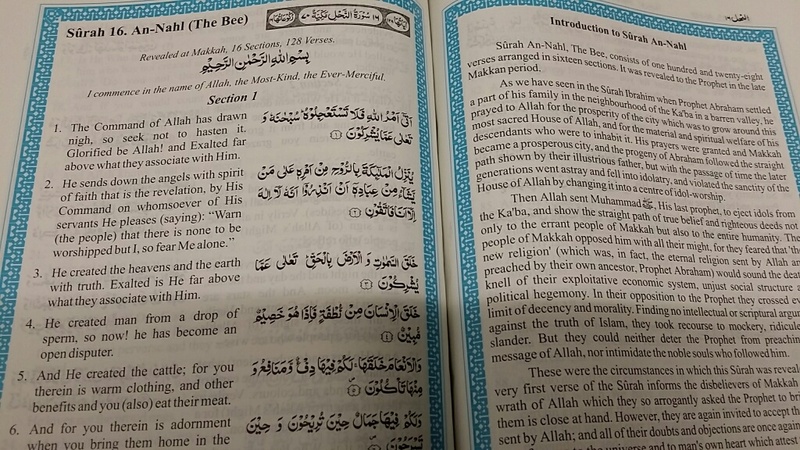 There is also a detailed introduction on the origins and background at the beginning of each Surah. 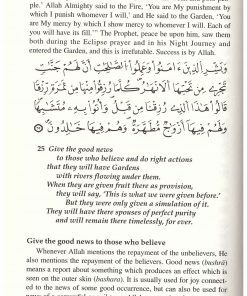 —The Etiquette of the Recitation of the Qur’an.